Anna was so sweet and i thank her for that:) The location was great. Rooms were pretty enough. Hope to see you again. An excellent friendly hotel, nice breakfast, comfortable rooms lovely atmosphere...thankyou Roula, Adam and all the brilliant staff. Hope to to return soon. Spacious room and bathroom, big balcony. Good breakfast and friendly staff. 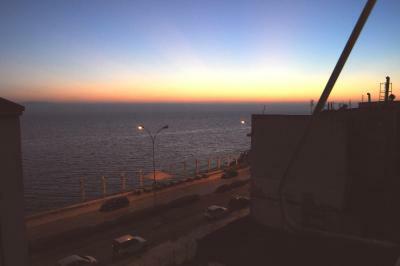 Great location, just a meters away from the seaside. Very close to many restaurants, bars and cafes. Super market is just on the corner. Clean, kind staff, reasonable price, suggested. 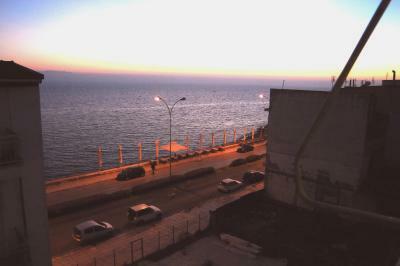 The hotel was close to the coast and the nightlife of Alexandroupolis, but not noisy. It was a small but clean room. The breakfast was nice, with eggs and chocolate cake. 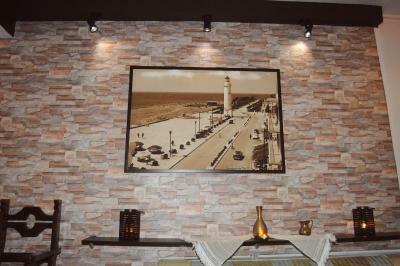 Location was great, reception staff were friendly, kind and helpful. Rooms and hotel was clean. Hotel Alkyon This rating is a reflection of how the property compares to the industry standard when it comes to price, facilities and services available. It's based on a self-evaluation by the property. Use this rating to help choose your stay! 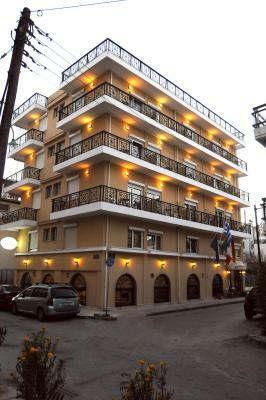 Located near the center and the beach of Alexandroupolis, Hotel Alkyon offers air-conditioned accommodations with views to the Aegean Sea. Wi-Fi is available in all areas and free of charge. Facilities include a bar and a snack bar. 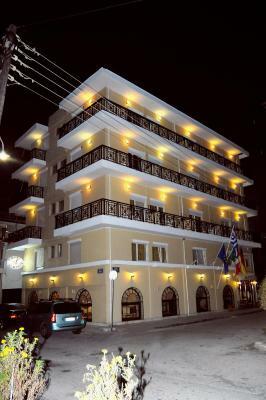 Simply furnished, all rooms at Alkyon are bright and open to a balcony. Each has a mini fridge and a TV. A private bathroom with a shower and a hairdryer is included. A selection of light meals and refreshing beverages is served at the property’s snack bar. Guests are welcome to enjoy drinks available at the bar. The popular Ethnological Museum of Thrace is at a distance of about 1.2 mi. The port of Alexandroupolis is about 0.6 mi away, while Alexandroupolis International Airport is 4.3 mi away. Free private parking is possible on site. 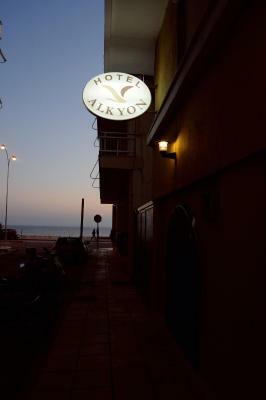 When would you like to stay at Hotel Alkyon? 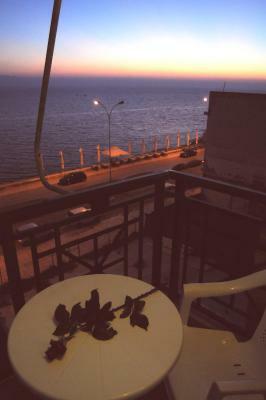 Featuring Aegean Sea views, this air-conditioned room is bright and opens to a balcony. It has a mini fridge and a TV. A private bathroom with a shower and a hairdryer is included. Free Wi-Fi is available. Please note that in the case of a double bed, a semi double bed is provided. Municipal Stadium of Alexandroupolis "Fotis Kosmas"
House Rules Hotel Alkyon takes special requests – add in the next step! Hotel Alkyon accepts these cards and reserves the right to temporarily hold an amount prior to arrival. good location of the hotel. Staff is helpful. -the breakfast was quite poor, I am surprised that it is paid for, because there was nothing but bread, tomatoes and eggs. Very central, easy to find by car. The bathroom is to small and the furnishing is old fashion. On Saturday night i was looking for half an hour for a parking spot and i parked 500m away. Great wifi,my room was the most distand from the access point and i had always full bars.